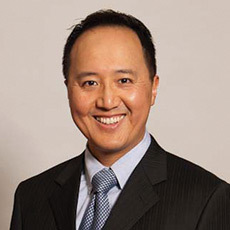 David C. Yu, M.D., has been a member of Shields Radiology Associates since August 2003. Dr. Yu received his undergraduate degree from the University of Toronto and medical degree from McGill University. He completed his internship in internal medicine and residency in diagnostic radiology at Queen’s University in Canada. He completed a two-year fellowship in neuroradiology at Massachusetts General Hospital, where he served as Chief Fellow. He has previously been on staff in the MGH Neuroradiology division and an Instructor of radiology at Harvard Medical School. Dr. Yu is certified by the American Board of Radiology with a Certificate of Additional Qualification in Neuroradiology. Dr. Yu is a senior member of the American Society of Neuroradiology and a member of the American Roentgen Ray Society.